Sometimes it's just one of those days. Errands, a casual meeting with a couple of fantastic musicians, dinner and home by 10. This outfit (to me at least) is a great example of how accessories can really punch something up. 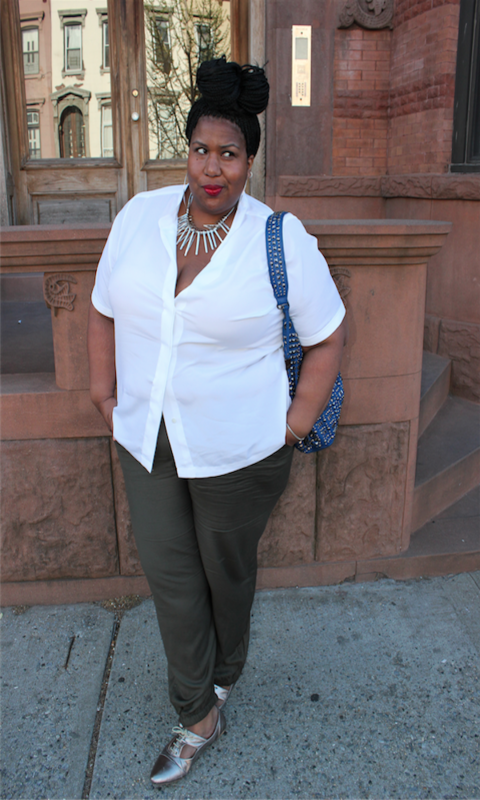 Super basic pieces...a white button down and olive green pants, nothing wow. But but accessories can really make the outfit. Here are a few great pieces I scored at TJ Maxx. I kind of hate the word fashionista, but Maxxinista...that you can call me. Haha.